Is the social sector focused on the things that are most predictive of success? And if these organizations are not focused on the right things, how can nonprofit leaders bring their organizations back into alignment? So often, the urgency to demonstrate results for funders and donors supersedes any attention to internal outcomes. Although the intention of this approach is honorable, it is becoming increasingly clear that successful social sector leaders need to be just as attentive to strengthening the organizational culture and building an engaged workforce, as they are to the numerous external forces at work. There is a growing body of evidence, especially in the for-profit sector, that organizational culture predicts customer satisfaction and sales. For example, Gallup has been analyzing the relationship between culture and performance for more than two decades. In its most recent engagement report, it found that, “Highly engaged business units achieve a 10% increase in customer metrics and a 20% increase in sales.” Gallup’s research demonstrates that an engaged culture improves performance, not the other way around. So, does this same correlation apply to the social sector, which defines success not by sales, but rather how organizations are achieving positive outcomes for the individuals and communities they serve? 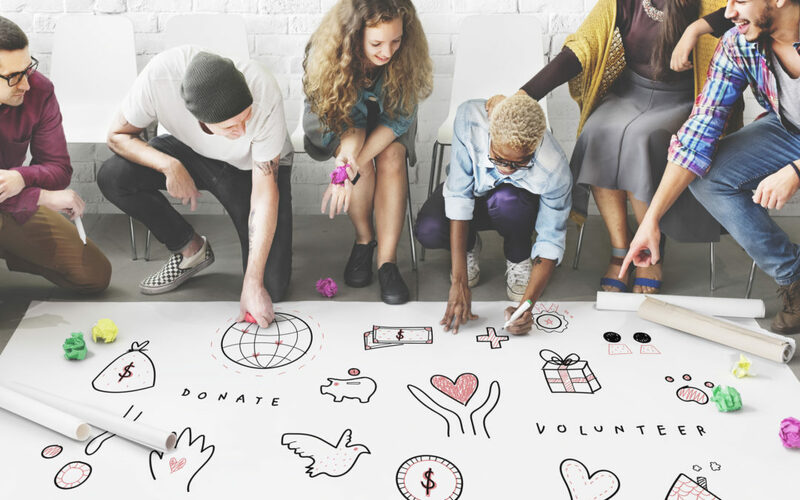 Recent research conducted by Measurement Resources Company and The Rucks Group, provides evidence that organizational culture may be more important than the sector realizes for achieving positive social outcomes. In 2017, these researchers partnered with Ohio Department of Health to conduct a longitudinal study to uncover the factors that most predicted family engagement in Ohio’s Maternal, Infant and Early Childhood Home Visiting Program. The factors that both reflected the culture of the home visitors’ organization and had the highest direct impact on the program’s outcomes (satisfaction and retention of families participating in the program), could be directly tied back to the investment in employees’ professional development, and their satisfaction with their jobs and supervisors. The employees who received ample training from their agencies expressed that they felt more confident and adequately equipped to deliver the support the families needed. Child engagement during home visits also increased when families indicated a higher perceived program fit (24% increase), and when the employees demonstrated higher cultural competency (14% increase). Read more about Measurement Resources Company’s work with Ohio Department of Health. Social sector leaders know all too well that combatting complex challenges takes a toll on their employees. And at any moment, any combination of obstacles and barriers can come into play—impeding the delivery of services and negatively impacting mission outcomes. When this occurs, the culture suffers, employees experience burnout, and ultimately, organizations fall short of their potential to create sustainable social impact. Fortunately, there are resources to help nonprofit leaders bring their organizations back into alignment. In The Happy, Healthy Nonprofit, authors Kanter and Sherman present a framework for improving organizational achievement, while also prioritizing cultural considerations. With a focus on advancing leadership strategy, this resource helps leaders examine the organization, identify opportunities for improvement, and address issues in ways that satisfy all aspects of the organization, from the perspective of both operations and culture. By improving attitudes and personal habits at all levels, it is possible to implement a positive cultural change with sustainable impact. In addition to these tips, Measurement Resources Company partners with nonprofit organizations, government agencies and social enterprises nationwide to help identify and incorporate the best data-driven approaches for improving organizational culture and mission outcomes. We would welcome the opportunity to explore how we can help your organization develop lasting resiliency, starting from the inside out.